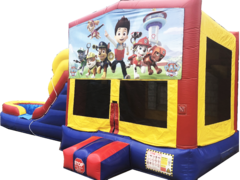 Combo units add loads of fun and excitement to your party! 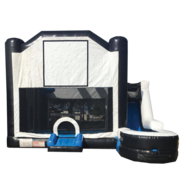 Combos are affordable fun by allowing them to enjoy bouncing, riding, sliding, splashing, all in one unit. 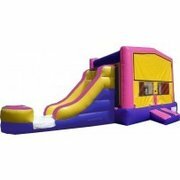 We have a ton of themed combos and colors!! 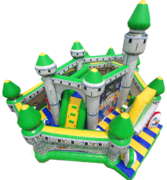 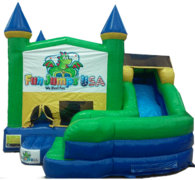 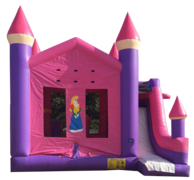 All Combo units include a full size bounce house, wet or dry slides, and a few combos include obstacle courses inside the Fun Jump. 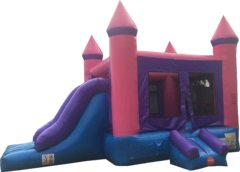 We do offer our Combo Party Package for select dry combos that includes, concession, tables and chairs for $249. 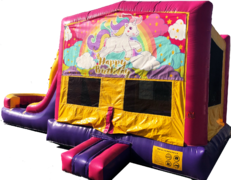 You can find this special and all other under our Current Specials button. 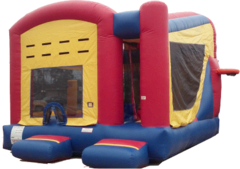 Combos are one of the best choices for your school, daycare or camp events. 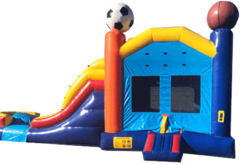 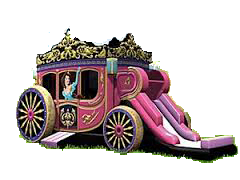 Check out our party packages to see all of the daycare and camp packages that we offer. 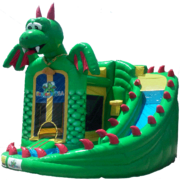 Also, don't forget about our Water Slide Combos, the best way to beat the summer heat.